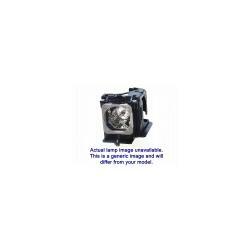 The EPSON ELPLP88 / V13H010L88 Genuine Original replacement projector lamp for EB-945H, EB-955WH, EB-965H, EB-97H, EB-98H, EB-S04, EB-S27, EB-S29, EB-S31, EB-U04, EB-U32, EB-W29, EB-W31, EB-W32, EB-X27, EB-X29, EB-X31, EH-TW5350, PowerLite 955WH, PowerLite 965H, PowerLite 97H, PowerLite 98H, PowerLite 99WH, PowerLite HC 1040, PowerLite HC 2040, PowerLite HC 2045, PowerLite S27, PowerLite W29, PowerLite X27, EH-TW5300, VS240, VS340, EX3240, VS345, EX5240, PowerLite 1224, EX5250, EX7240, PowerLite 1264, EX9200, PowerLite HC 640, PowerLite 740HD, H694, H692, H691, H690, H688, H687, H686, H683, H682, EB-X36, EB-W04, EB-X04, EB-U130, EB-W130, EB-X130, EB-S130, EB-X350, EB-X300, EB-S300, H716, H717, H718, H719, H720, H721, H722, H723, H730, H763, H764 and EH-TW5210 projector models. 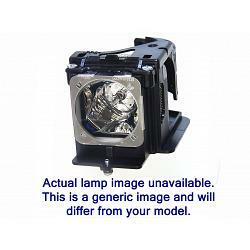 The EPSON ELPLP88 / V13H010L88 replacement lamp comes complete with housing and includes a 90 day warranty. Order in the next 17:49:17 Hours to Ship Today Place your order by 3:30 PM Today and your order will ship the same day. For further details and delivery estimates check our shipping page. Remember to select the desired service level needed in your cart. All orders are subject to verification. International orders are processed the next shipping day.